Come see this wonderful home, in a most AMAZING location! Ideally situated on a spacious cul de sac lot with no neighbors directly behind - backs to open space with GORGEOUS mountain and city views! 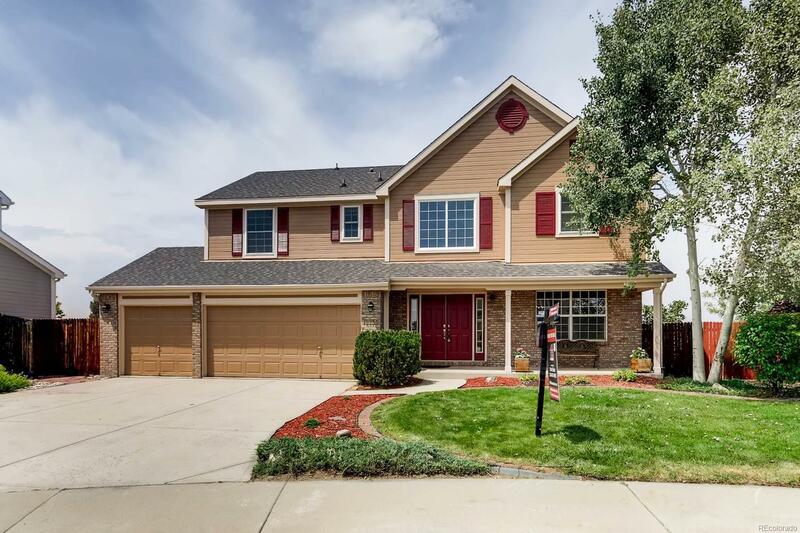 This home offers a highly desirable floor plan with 6 bedrooms and 4 bathrooms, including a second master suite in the finished walk out basement. Entertaining is a breeze with an open kitchen featuring granite counter tops, or take the party outdoors onto the large trex wraparound deck and the serene yard with a koi pond and water feature. Relax in the included hot tub, and enjoy those unbeatable views!! The finished basement provides a rec room, bedroom with en suite bath featuring a steam shower, and a wet bar - great solution for guests or mother in law quarters! Added features include a convenient upstairs laundry, newer water heater, and brand new exterior paint. MUST SEE! The content relating to real estate for sale in this Web site comes in part from the Internet Data eXchange ("IDX") program of METROLIST, INC.DBA RECOLORADO® Real estate listings held by brokers other than HQ Homes Denver/Boulder Discount Real Estate Services are marked with the IDX Logo. This information is being provided for the consumers' personal, non-commercial use and may not be used for any other purpose. All information subject to change and should be independently verified.